Warren has been a part of a growing group of Democrats calling for greater regulation and antitrust enforcement of major tech companies. Warren's call also comes as Democrats have begun to plan for increased oversight of tech companies after taking control of the House. On Wednesday, House and Senate Democrats introduced legislation to establish strong net neutrality protections that would look to prevent major service providers from using their power to manipulate how users experience the internet. Few Democrats, however, have actively called to break up tech companies, as Warren did on Friday. Warren said in her post that the consumer experience of most internet users is dominated by Facebook, Google and Amazon, which can then "use the Internet to squash small businesses and innovation, and substitute their own financial interests for the broader interests of the American people." 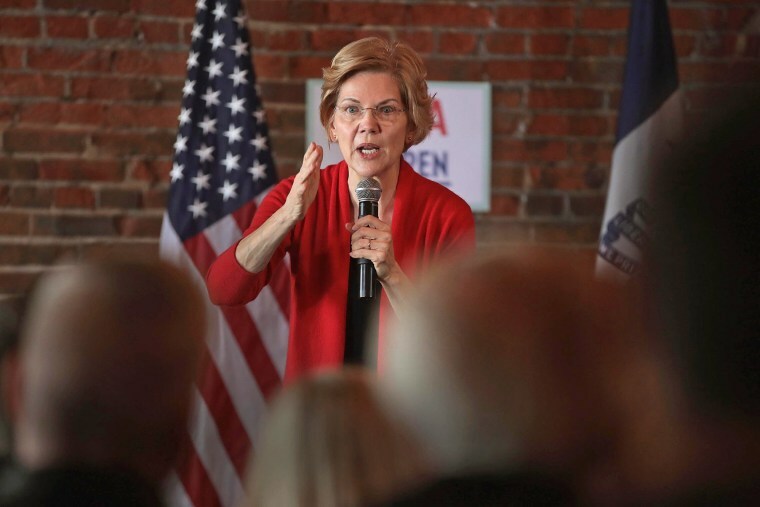 Warren's plan calls for legislation that would feature a new business category for companies with more than $25 billion of global revenue that also "offer to the public an online marketplace, an exchange, or a platform for connecting third parties." These companies would be called "platform utilities" and be prevented from owning the platform and any of its participants, as well as be required to "meet a standard of fair, reasonable, and nondiscriminatory dealing with users." They would also not be allowed to share data with other companies. Warren also said that she would be looking to federal regulators to undo some recent mergers, including Amazon's ownership of the grocer Whole Foods and e-commerce website Zappos, Facebook's ownership of WhatsApp and Instagram, and Google's ownership of the navigation app Waze and home device company Nest. "Unwinding these mergers will promote healthy competition in the market — which will put pressure on big tech companies to be more responsive to user concerns, including about privacy," she wrote. Luther Lowe, vice president of government relations at Yelp, which has repeatedly claimed that Google uses its search engine to scuttle competitors, said Warren's plan was "refreshing and ambitious." "I think Senator Warren really understands how these markets work, and I think this type of proposal would inject some much needed oxygen into the consumer internet markets, which today are calcifying as a result of dominant firms like Google stifling innovation," Lowe said. Warren is not entirely alone in proposing serious changes to how tech companies are regulated. Rep. David Cicilline, D-R.I., who heads the House antitrust subcommittee, recently suggested in an interview with the Financial Times a similar idea in which tech companies would be forced to split up their platform from their customer data business.